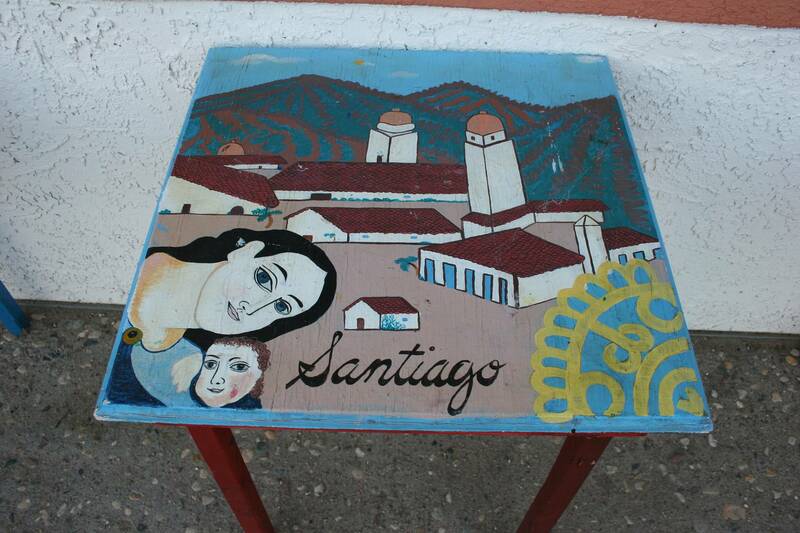 The family matriarch oversees the making of pupusas from her chair. She perched on a chair, back rim rod straight, eyes fixed on the griddle before her. I watched, considering how I could, unnoticed, photograph this lovely old woman with lines etched deep in her skin by weather and smiles and age. Just the way she held herself, like a queen presiding over royalty, intrigued me. 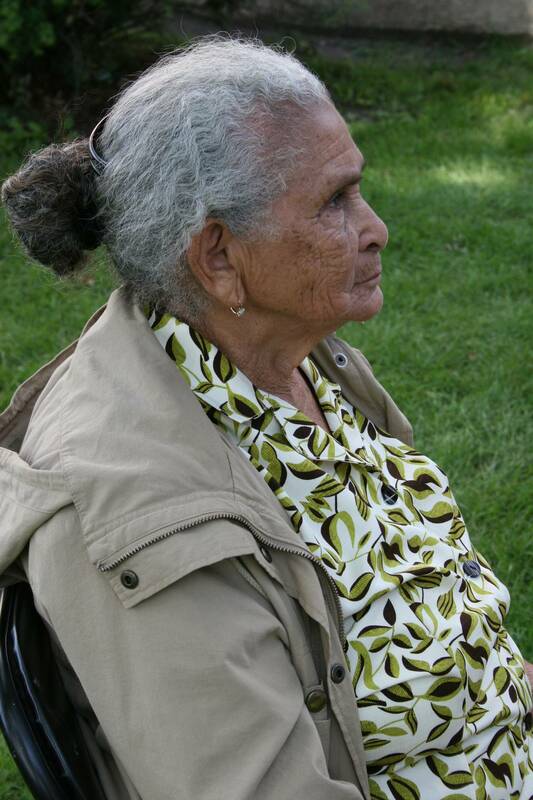 Her entire demeanor spoke to wisdom and respect and knowledge earned perhaps by years of struggle. None of this I knew with certainty. All of this I speculated solely from observation. She sat, some five feet from a food tent during International Market Day at Central Park in Faribault. 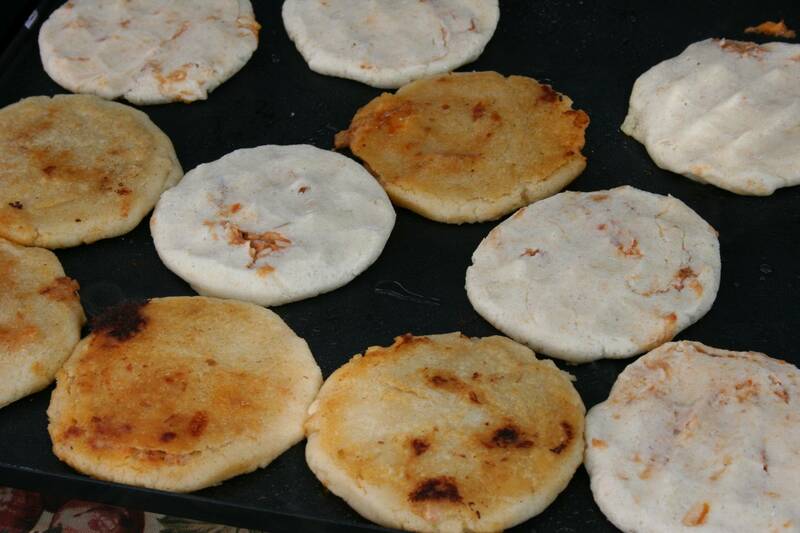 Under the tent, members of her extended family tended to frying pupusas and to customers who were waiting to buy the beef and cheese-filled flat bread. I waited too, seeking the opportune moment to snap images. After awhile, I decided simply to walk near the woman, aim my lens and push the shutter button. I snapped two profiles before she noticed the whirr of my camera and turned toward me. I lowered my camera, bent low and asked if she was in charge. I chuckled, not quite believing this matriarch. “Is she your grandma?” I asked the boy. “No, that’s my grandma, and my mom,” he said, pointing toward the tent. “She’s my great grandma.” Four generations together. The boy told me she was 86. I hung around, standing in line for a pupusas and hoping to capture more images of this elder who had so captivated me. She did not disappoint. Although I missed getting a picture, I saw this regal woman rise up from her chair, reach across the hot griddle and pat the top of a pupusas. Just like that. And she wasn’t in charge? A bit later I was rewarded again. From across the tent, I observed a man embrace her. I quickly took a picture, with no time to properly compose the frame. If love has a face, then I saw it, in that moment, in the smile and eyes of that beautiful old woman. 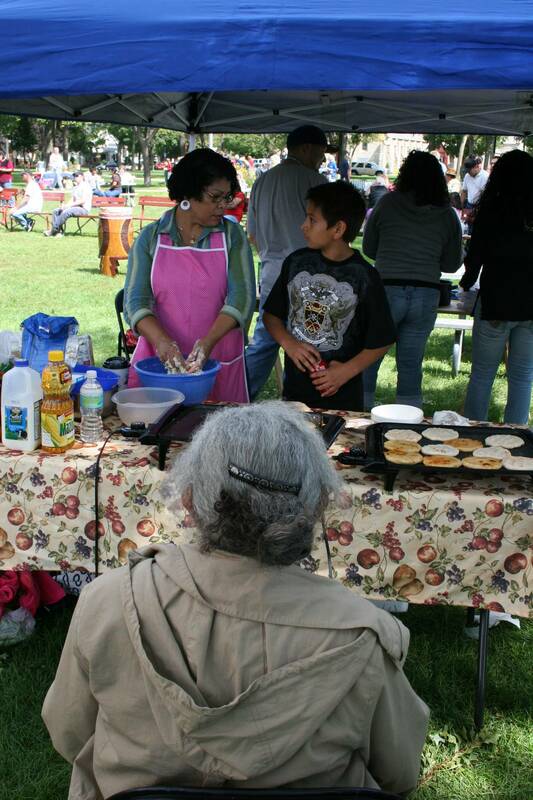 From a mere five feet away, the old woman quietly observes as family members fry flat bread. Beef and cheese-filled pupusas fry on a griddle. 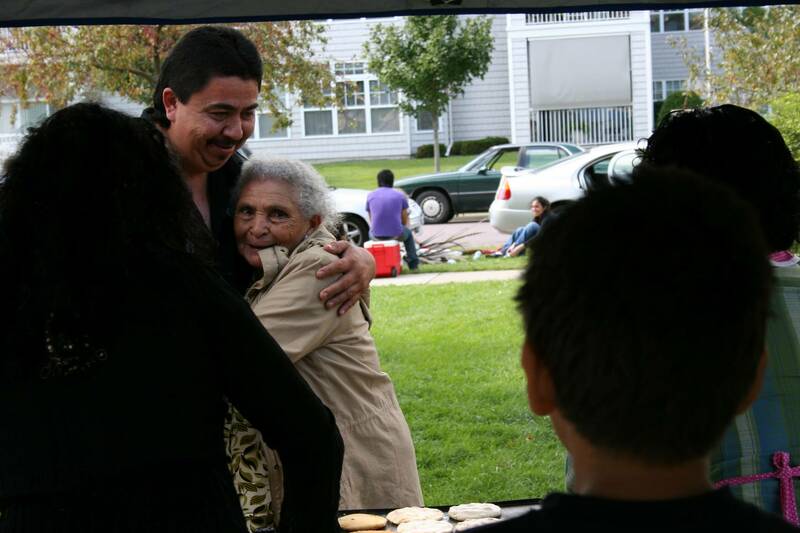 A man, probably a family member, embraces the old woman in a touching moment outside the food tent. When it comes to blogging, I never have a shortage of ideas. My computer is filled with files of photos and my notebooks with pages of notes. Just the other day I compiled a list of blog topics because I simply did not want to forget something. The list numbers nearly two dozen items. I know some of you who have seen me out and about may be wondering, “Why hasn’t she written about (here’s where you fill in the blank)?” I promise. Your blog is coming. Some of these topics date back to a month ago, when my family vacationed in northern Minnesota. Others are places I’ve been just in the past week. Sharing my photos and the stories I’ve gathered now ranks as my favorite type of writing. I enjoy it almost too much, if that’s possible. If you haven’t visited the Midwest Mix Magazine website, check that out too. I have a few blogs there and at least one more to be posted soon on the Blue Collar BBQ and Arts Fest in Faribault. In the meantime, I promise to keep blogging and, hopefully, entertaining and informing you through my writing and photography. I’m also working on stories for the holiday issues of Minnesota Moments magazine and Midwest Mix Magazine. So…, I best get busy writing, after I hang out the laundry. 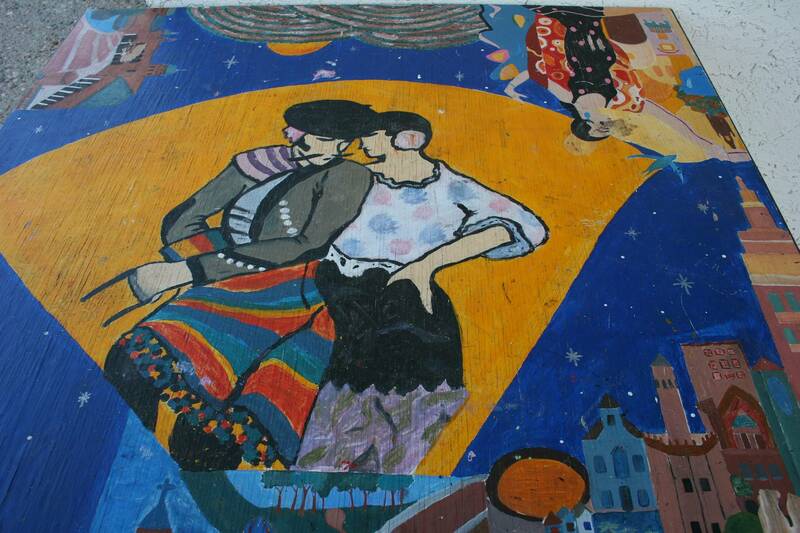 Authentic architecture is integral in the Concordia Spanish Language Village. 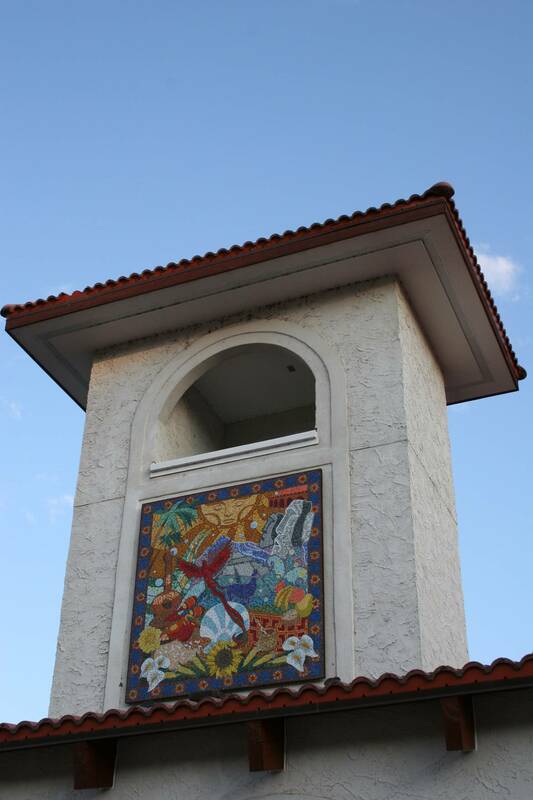 A colorful mosaic graces a building. Nearly 40 years ago, I longed to spend part of my summer at a German language camp in northern Minnesota. It was, I figured, as close as I would get to Germany without leaving the state, unless you counted visiting New Ulm. I’d been to that predominantly German community several times. But I needed more. With a natural ability to quickly learn a foreign language and with a passion for German, I hoped to immerse myself in the culture. And that could happen at the Concordia German Language Village near Bemidji. However, as much as I wished to become a German camper and as much as my high school German teacher desired the same for me, it wasn’t going to happen. Sending me to summer camp didn’t fit family finances. Sunset on Turtle River Lake. So I never went to camp. That was until this summer. And it wasn’t exactly German camp. 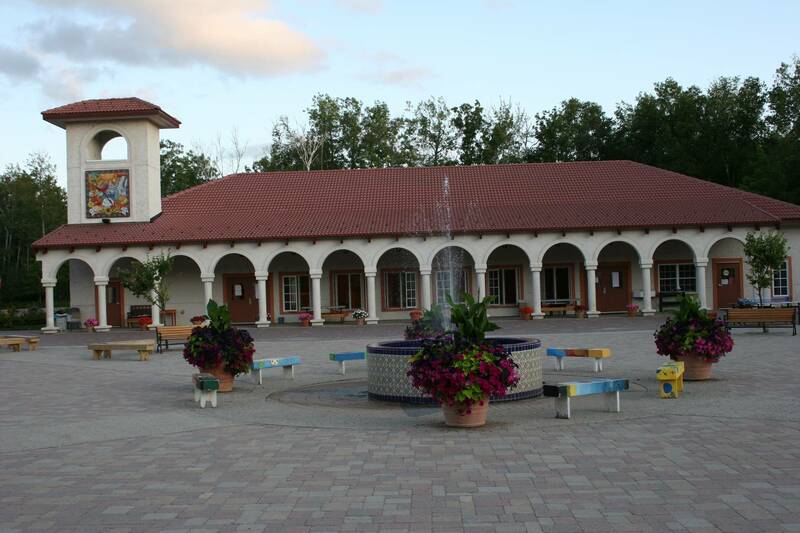 It was El Lago del Bosque, Concordia’s Spanish Language Village, also on Turtle River Lake north of Bemidji. No, I don’t speak Spanish. But my daughter, Miranda, is majoring in Spanish and worked the past two summers in the El Lago del Bosque kitchen. Several weeks ago my husband, son and I traveled north to see her. As we drove down the 2 ½-mile tree-lined winding road toward the Spanish village, I couldn’t help but ponder my adolescent wish of so many decades ago. But that was in the past and I had other concerns now. How exactly would I communicate in a totally Spanish-speaking environment? Not to worry. We got by for the brief time we were at the Sunday evening asado argentina (outdoor Argentine barbeque) with Miranda as our interpreter. Besides I was way too busy admiring the brick courtyard, complete with fountain and gorgeous flowers, and the Spanish architecture and paintings to even think about language barriers. This camp was unlike any I’d ever seen. I would have sworn, at least from exterior appearances, that I was at some swanky resort. From what my daughter has told me, the food classifies more as cuisine than camp food with everything, even the bread, made from scratch. I could like this kind of camp. 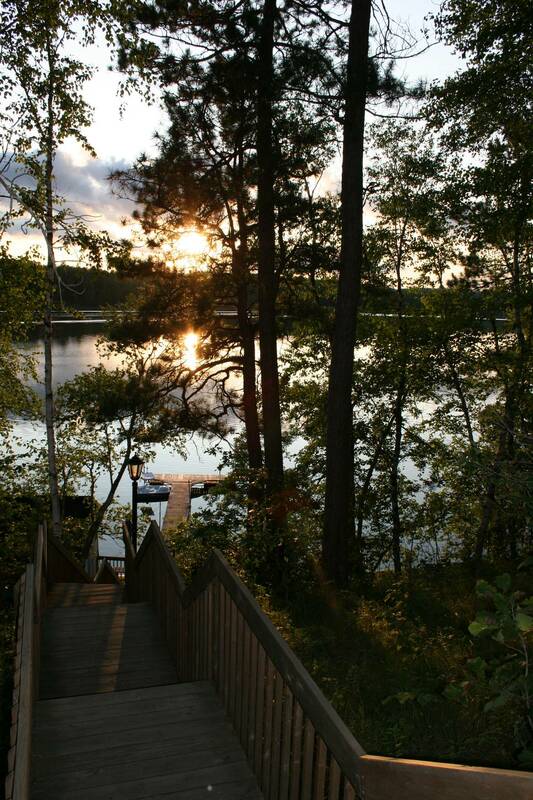 Miranda returns home this weekend from her three-month stint at El Lago del Bosque. We’ll be picking her up at her sister’s place in Minneapolis and eating a meal together. I asked where and what she wanted to eat. Anything, she said, except rice or beans. 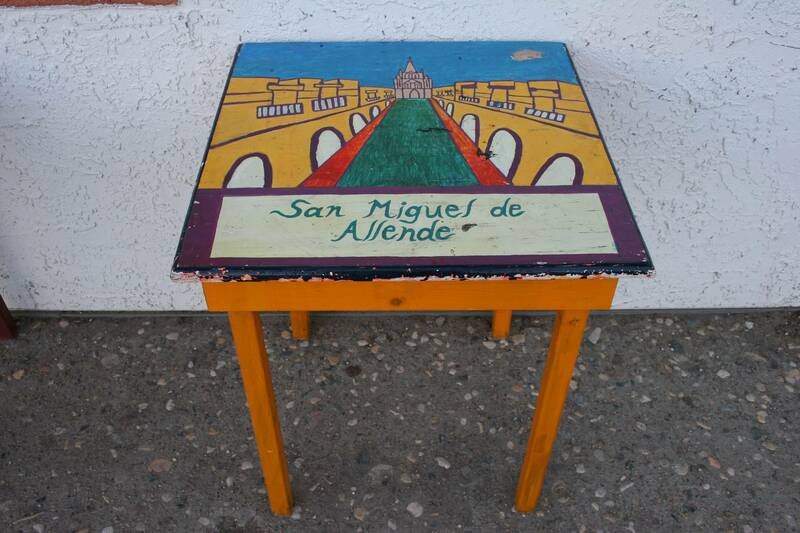 Art representing San Miguel de Allende. 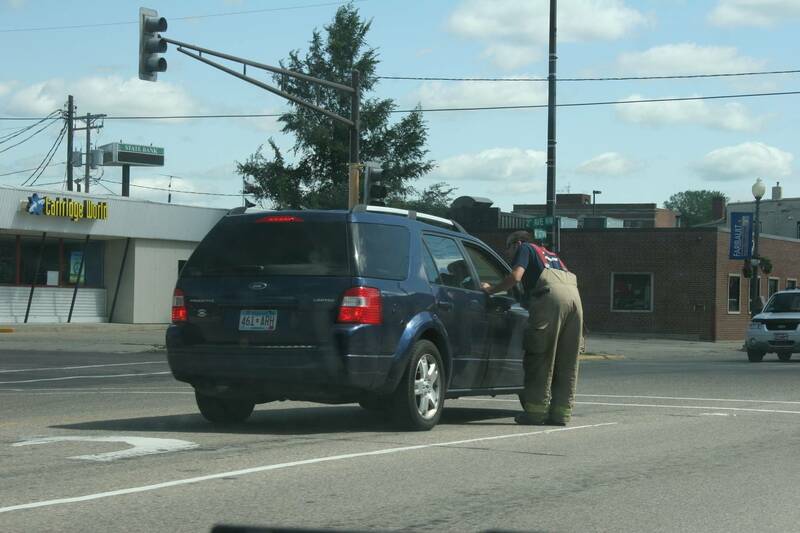 A Faribault firefighter seeks donations while standing in the turning lane of N.W. Fourth Street. This photo was taken from the passenger side front window of our car as we neared the intersection with Second Ave N.W. I don’t mean to be disrespectful to our local firefighters, but I saw something this morning that truly astounded me. 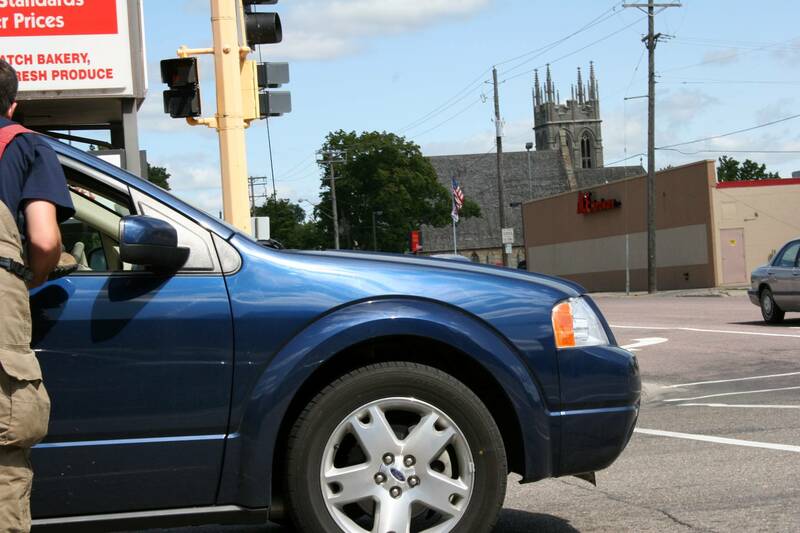 There, standing in the turning lanes at one of Faribault’s busiest intersections, were several firefighters seeking donations for The Muscular Dystrophy Association’s national “Fill the Boot” campaign. The drive benefits research and local services for the Twin Cities chapter of the MDA. It’s a worthy cause and I applaud the charitable efforts. But walking where they were, putting themselves in danger and creating a distraction for motorists seemed more than a bit unwise on the part of the firemen extending their boots for a donation. My husband rolled down the driver's side window as we passed this vehicle and firefighter, who was seeking donations in the turning lane of N.W. Fourth Street. 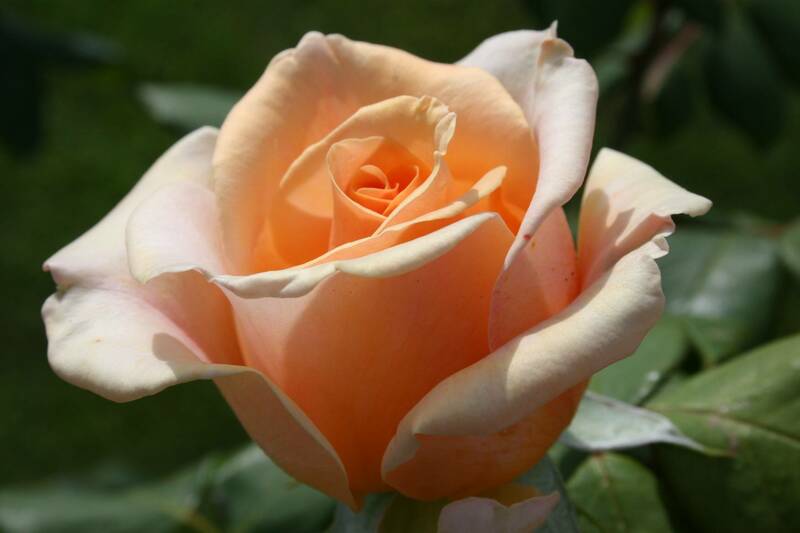 All the sweetness of summer beckons in this peaches-and-cream hued rose along the Boulevard of Roses. 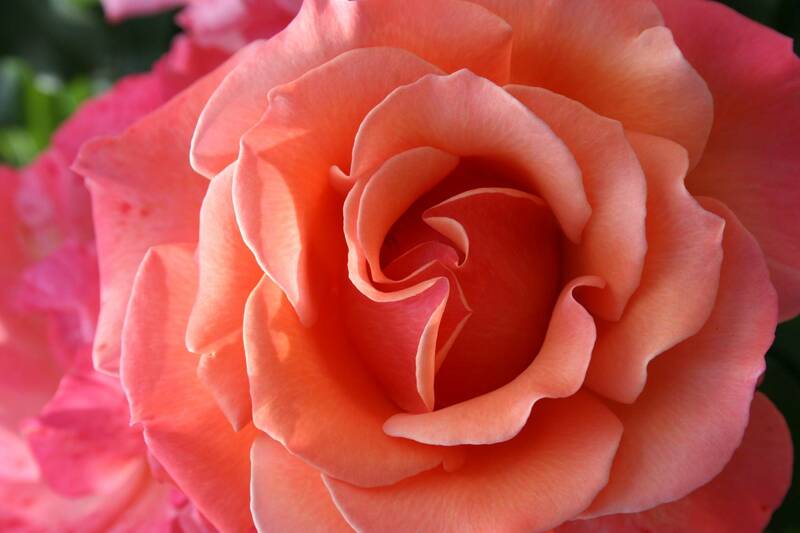 Bend close and breathe in the sweet perfume of a rose. Kenyon's Boulevard of Roses cuts through Minnesota Highway 60. Well, if you’re traveling through Kenyon in southwestern Goodhue County, then you really ought to heed those words, literally. Most roses have passed their peak bloom. BUT DON’T TARRY. Time truly is passing as rose petals there fade and fall upon the Boulevard of Roses that slices through the heart of this small town. Some 80 rosebushes, by my estimate, grow in the narrow strip of grass between traffic lanes along Minnesota Highway 60, also known as Gunderson Boulevard. 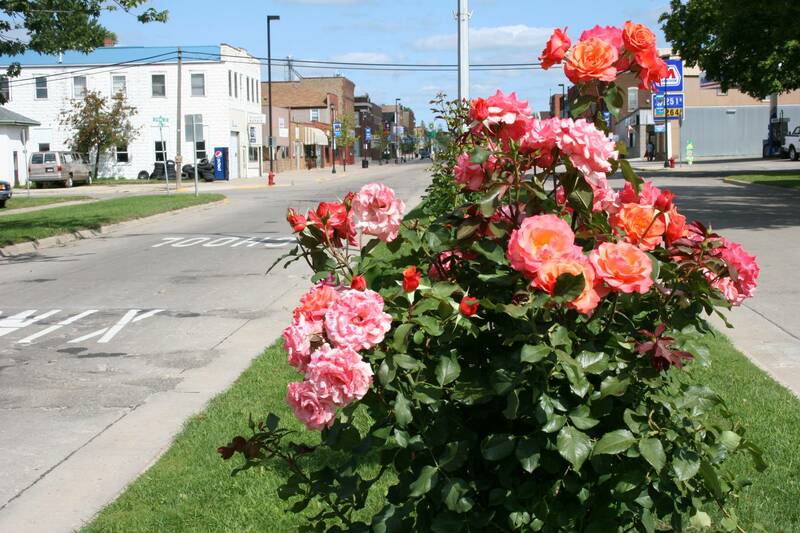 Many times while driving through Kenyon, I’ve admired the four-block-long stretch of roses. But not once, not even once, did I stop to smell the roses. That is, until Sunday afternoon, during Kenyon’s annual Rose Fest. Festival events had mostly concluded by the time my husband, Randy, and I arrived in town. We stopped at Kenyon Veterans Memorial Park (see my previous post), took in the horse pull at Depot Park, shared an order of scrumptious turtle donuts (mini donuts dripping with caramel and chocolate and sprinkled with nuts) before I suggested that we view the roses. “Is it safe to walk in the boulevard?” I asked as we exited our car on a side street and vehicles zoomed by on Highway 60. “There’s not that much traffic,” Randy insisted. So we crossed the eastbound traffic lane and stepped into the flower zone. Rosebush by rosebush I worked my way down the grassy pathway, pausing to photograph the choicest of the blooms. Most had already passed their peak. 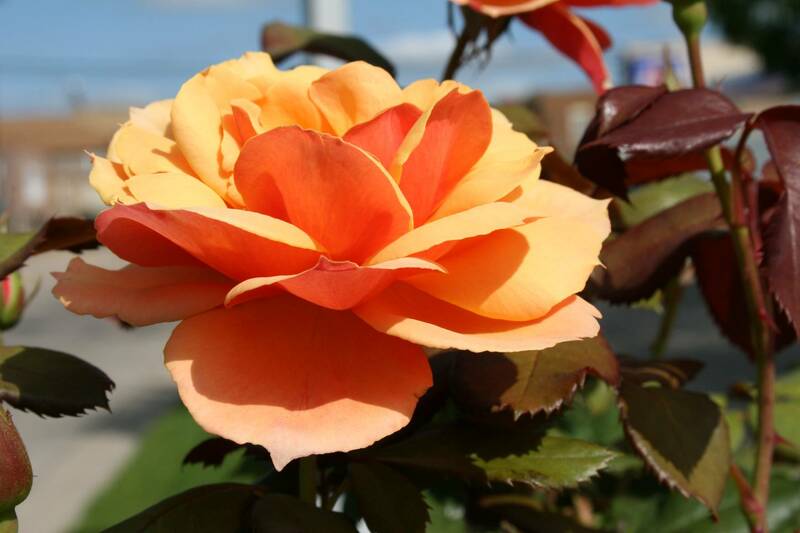 Yet, much beauty awaited us in the arching curves of the petals, in the dreamy colors of peaches-and-cream and buttercup yellow, of bushes weighed heavy by dozens of roses. And then the scent, the heavenly perfume of roses, breathed in, slowly, deeply. Almost intoxicating, this sweetness consuming my being as I dipped my nostrils close, touching the petals. I couldn’t get enough of this heady stuff, each rose with a distinguishing scent, as unique as their colors. But just like that, I was snapped out of my reverie by a passing semi truck that sucked at the roses and left me questioning the wisdom of standing so near the traffic lanes. However, the distraction proved temporary as I resumed smelling the roses, inhaling their sweetness, with each deep breath. 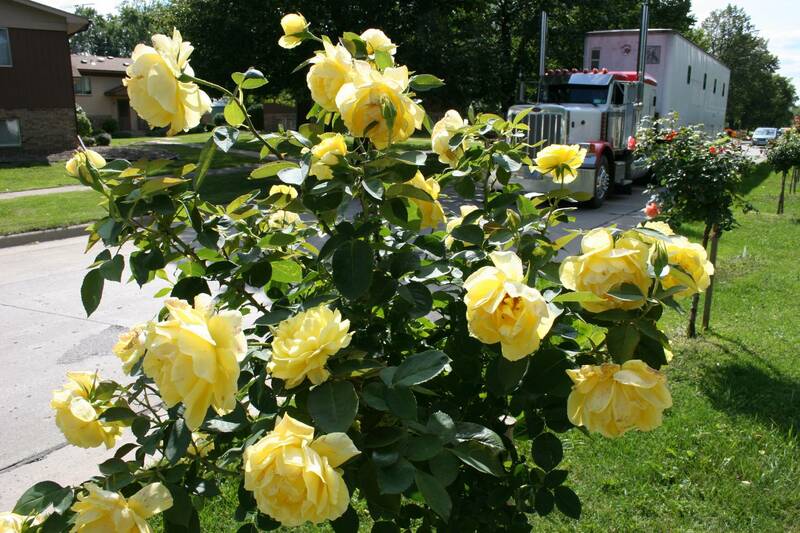 A semi truck passes dangerously close to the rosebushes. 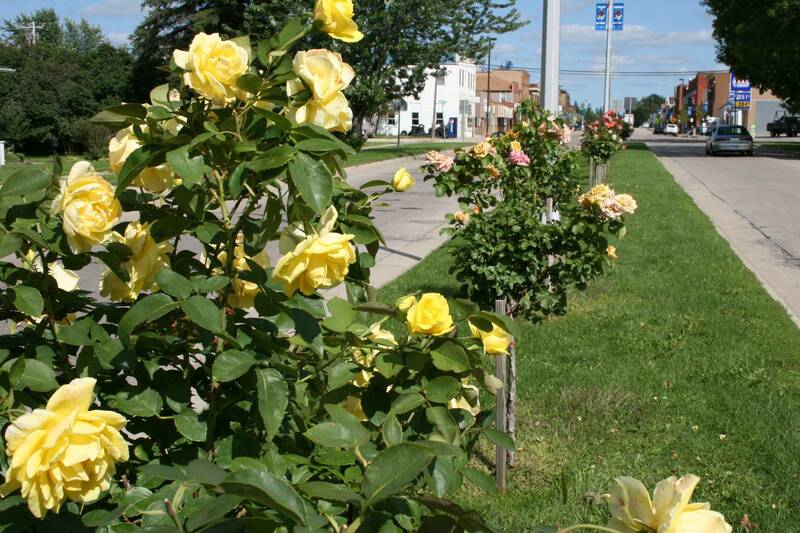 Rosebushes stretch for four blocks along Gunderson Boulevard. 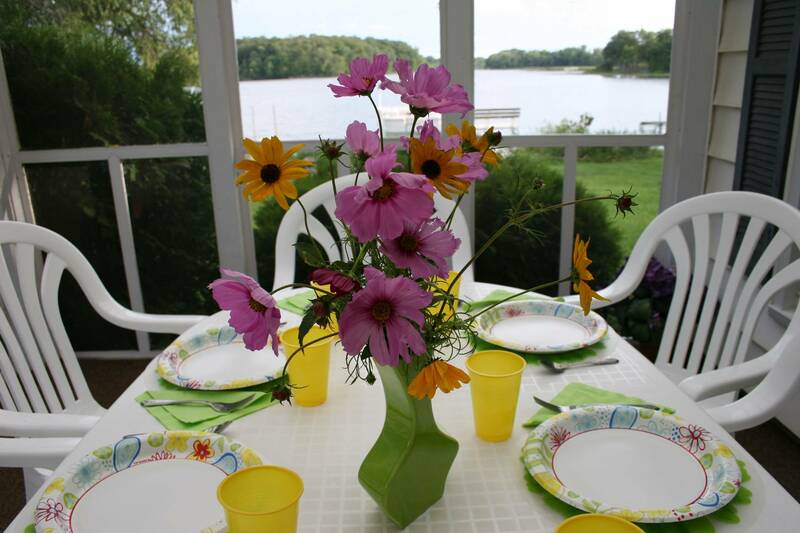 A table setting that speaks to summer breezes at a southeastern Minnesota lake cabin. 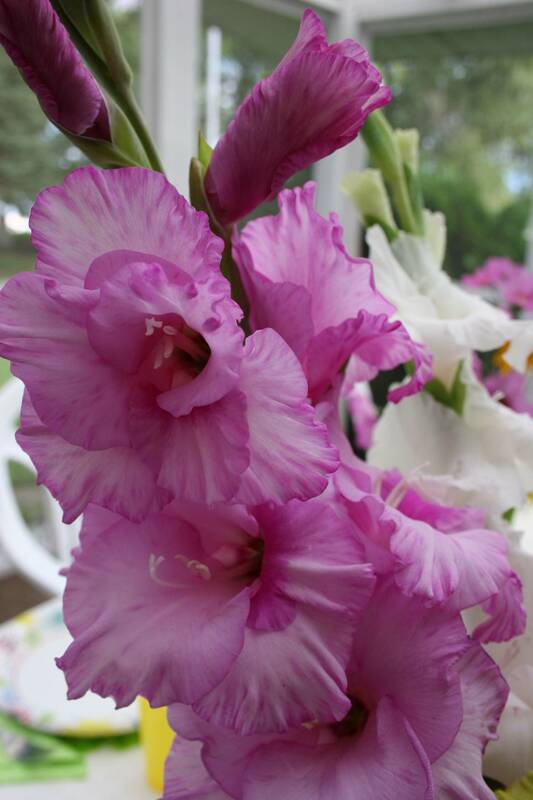 A bouquet of home-grown gladiolus Debbie created for the serving area. At the risk of sounding, oh, so Minnesotan, I’m going to write about the weather, a perennial topic here in the north land. Except for the lack of rain early on, hasn’t this just been the most perfect summer? Few, if any, mosquitoes, primarily humidity-free, cool days and good sleeping weather make this a summer to remember. 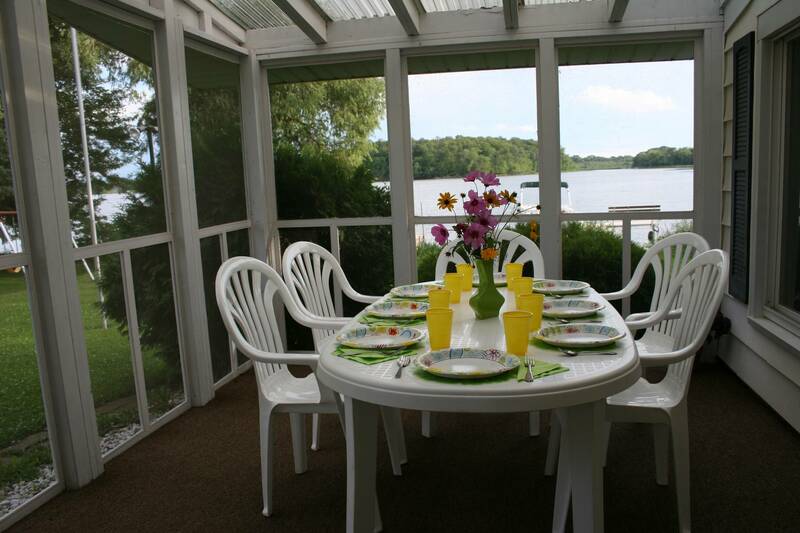 It’s been ideal for picnics and potlucks and campfires, for gatherings with family and friends. Just last week my bible study group met at a Cedar Lake cabin near Faribault for a potluck and farewell honoring our friends Mark and Sonia. “See the smile a-waitin’ in the kitchen, food cookin’ and the plates for two. See the arms that reach out to hold me, in the evening when the day is through. Summer breeze, makes me feel fine, blowing through the jasmine in my mind. Now I’m uncertain as to the entire meaning of the lyrics, but Summer Breeze always has been one of my favorite oldies. I didn’t share my thoughts with Debbie as she finished final meal preparations, but I gushed over her decorating style. Debbie, who has worked as a floral designer and interior decorator, possesses a flair for pulling everything together. I mean, she made paper plates and plastic cups look like fine china in the summery table she set for eight, nine with her husband, John, the grill master. Debbie created a beautiful table setting using her favorite color, green, mixing and matching with pinks and yellows in paper products and flowers. A view of Immanuel from the church balcony. If I had to choose between worshipping in a modern church building or in a sanctuary that has been around for years, I would typically opt for the vintage. I appreciate the architecture, the artisanship, the craftsmanship and the sense of reverence that abide in the church buildings of yesteryear. 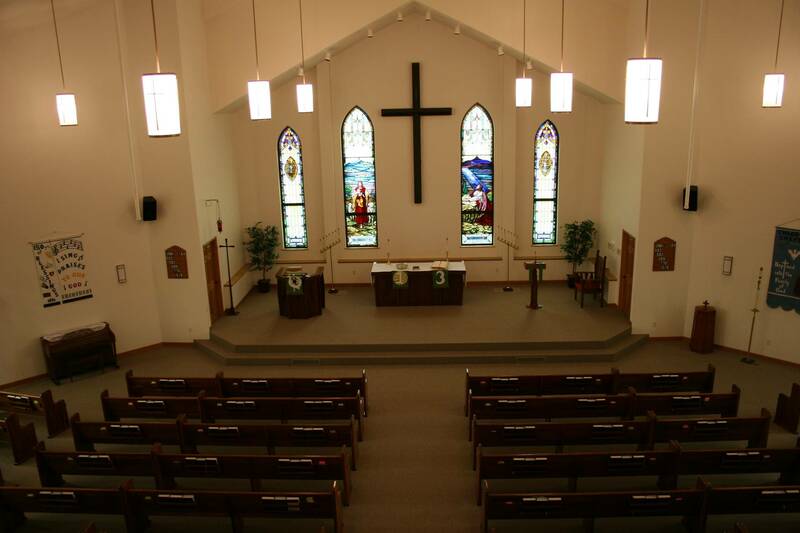 But sometimes, just sometimes, when a congregation constructs a new house of worship, they get it right, as did Immanuel Lutheran Church of rural Courtland. 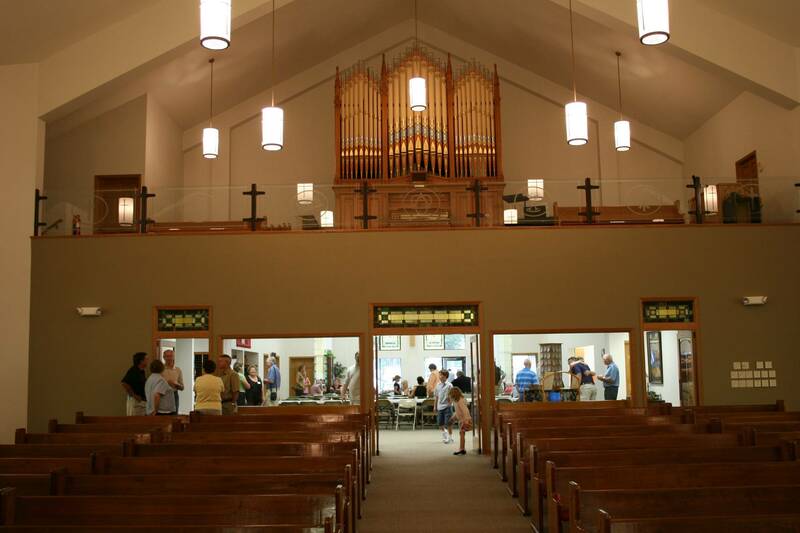 When the new church was built several years ago, stained glass windows, pews, the altar, even the 100-plus-year-old pipe organ and more from the old church were incorporated into the new structure. The result is a stunning reflection of the congregation’s past. My forefathers, the Bode family, who helped found Immanuel 150 years ago, would be pleased with the forethought that went into planning this more functional, yet historically beautiful, church. 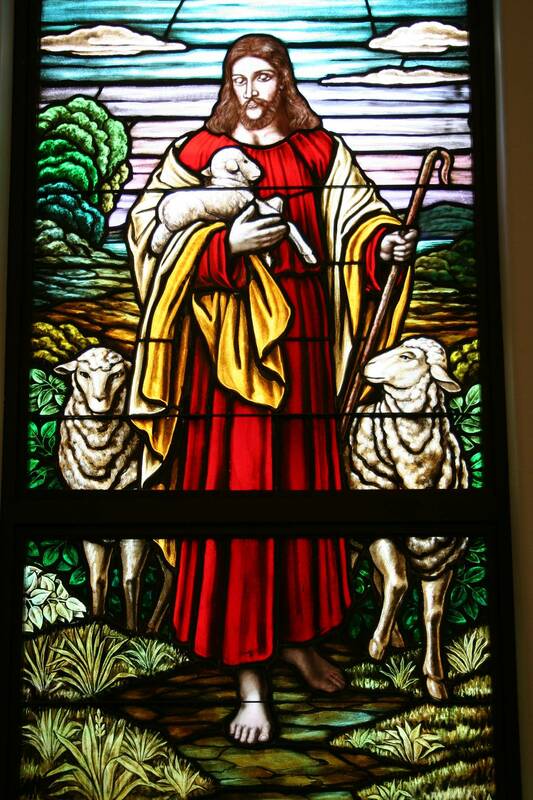 The Good Shepherd stained glass window at the front of the church. 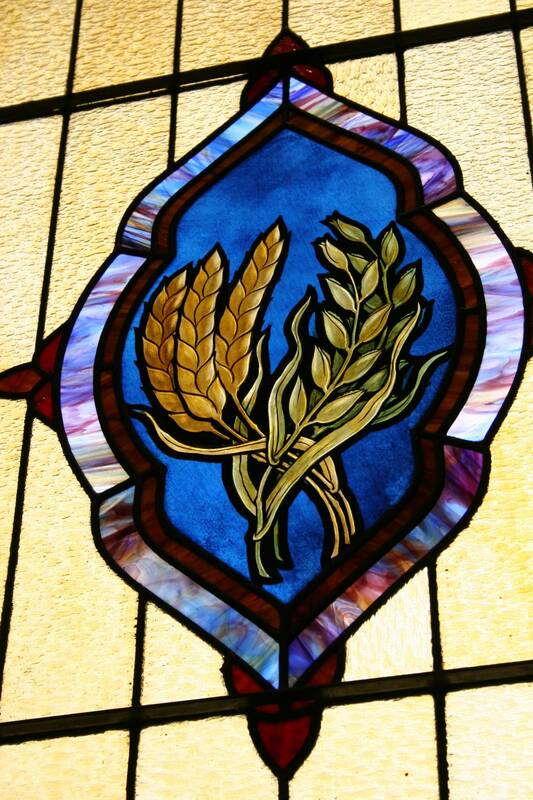 A side stained glass window features grain, reflecting the congregation's agricultural heritage. 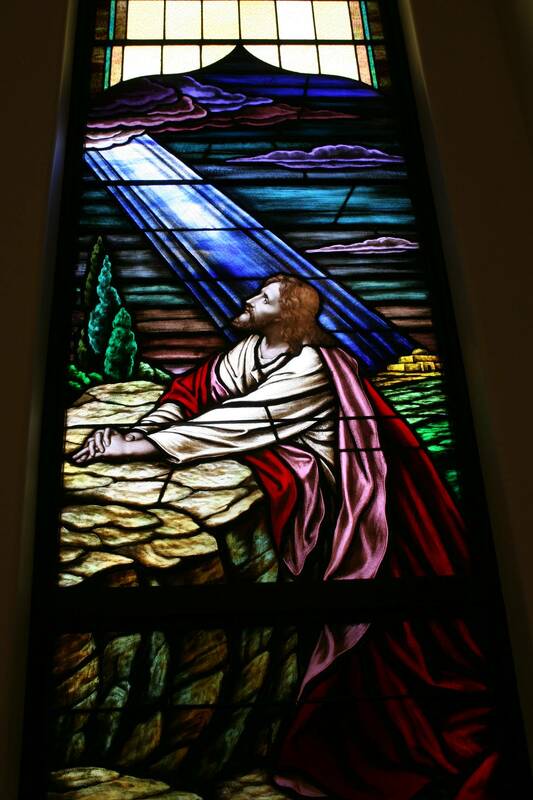 Another window shows Jesus praying in the Garden of Gethsemane. 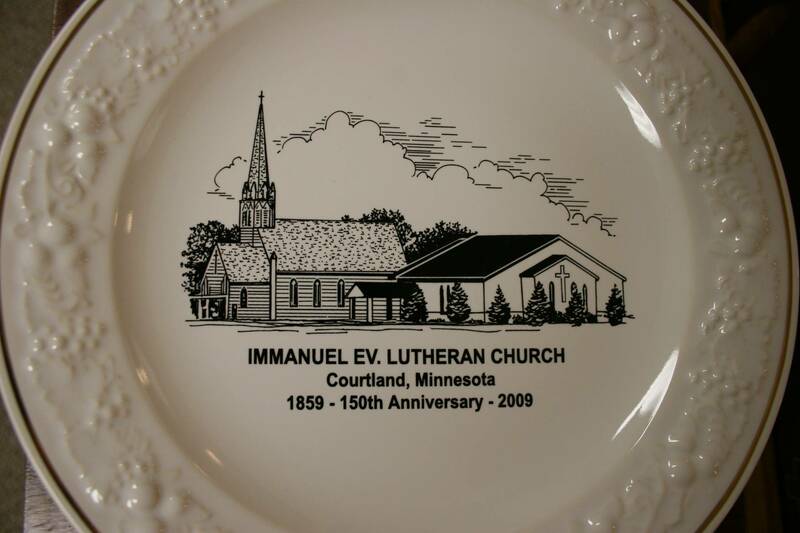 A commemorative plate shows the old and new Immanuel churches and celebrates the congregation's 150th anniversary. 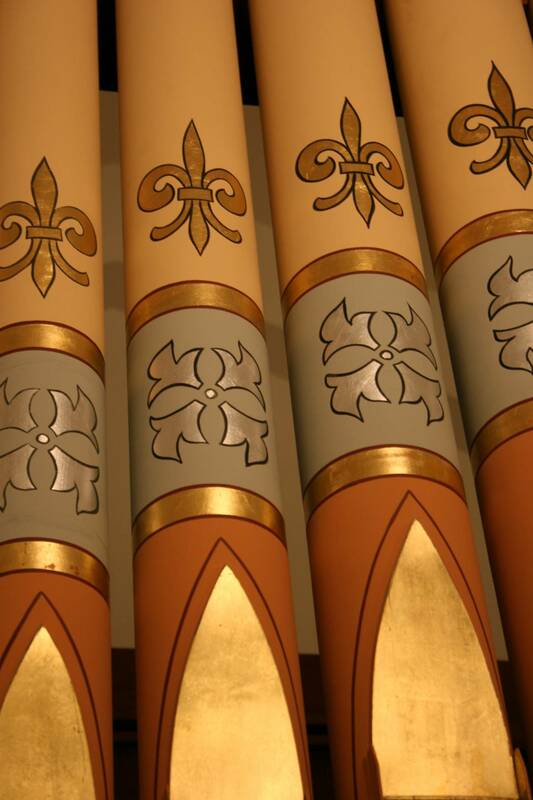 A close-up of pipes in the 114-year-old pipe organ, played today by a member of the Bode family at Immanuel. 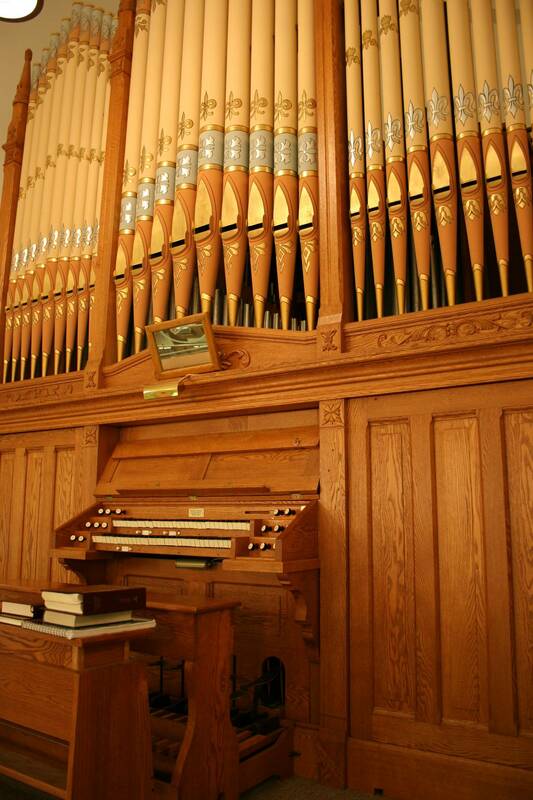 A majestic vintage pipe organ graces Immanuel's balcony. A rear photo shot of Immanuel, looking up to the balcony and toward the spacious fellowship hall.